The Operation Rainfall Origins series returns once again, after the April Fools Origins from last time! Click here to see an archive of past articles. EDITOR’S NOTE: As per usual, beware of SPOILERS for this amazing game. When I started playing video games, many years ago…when dinosaurs ruled the earth and NES and SNES were top of the line, a couple of traits defined me. First was that I preferred platformers to all other genres, since they had the best graphics and were easy to grasp and master. Second was that I always became invested in the main character, no matter how basic his backstory, whether he was an overalled plumber or a plucky blue robot. I sympathized with the good guy; I was young and innocent, and I saw things in black and white, with the Marios and Mega Men of the world standing on the side of absolute good, and Bowser and Dr. Wily representing absolute evil. But then, sometime in the mid-90s, a game came out which changed everything for me. That game was Demon’s Crest. 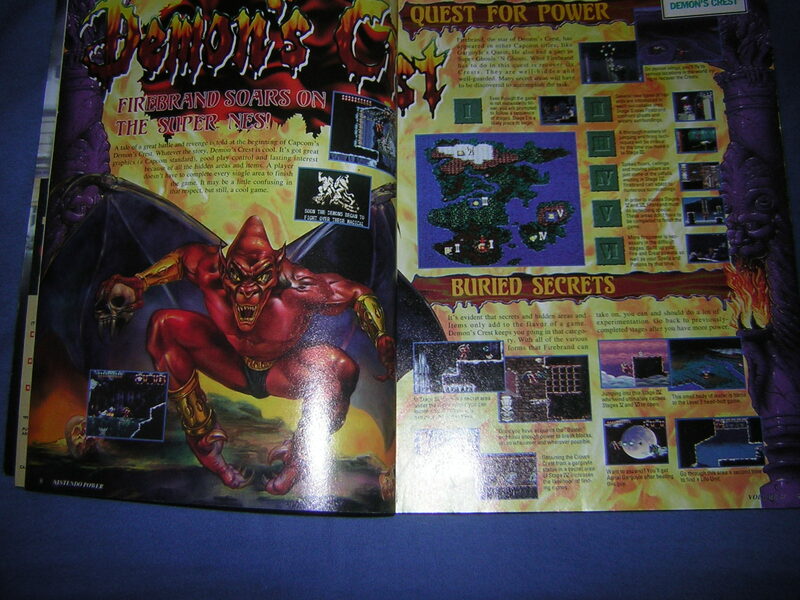 Demon’s Crest was released in 1994 by Capcom for the SNES. I didn’t actually buy it the year it was released, though. No, my first impressions of this strange new platformer were based off of Nintendo Power‘s coverage of the game. At the time, and for many years thereafter, I had a subscription to the now defunct magazine. This was years before the Internet revolutionized gaming with free FAQs and Youtube walkthroughs. In those days you played a game and beat it with no help whatsoever, unless of course you chipped in your precious allowance to buy a Official Guide, which I rarely did. I still remember opening up that month’s Nintendo Power, and being greeted by the horrifying visage of a red skinned, bat winged demon. I was very squeamish at the time, being around 10 years old. And I might have closed the cover and thrown away the magazine forever, had I not seen who published the game. It was published by Capcom, a company who I loved at the time, since in the 90’s Capcom represented the industry standard in terms of graphics and gameplay, at least as far as I was concerned. Anyone who made Mega Man could do no wrong, so I decided to read more about the game. Demon’s Crest was set in a teeming necropolis full of, you guessed it: demons and monsters. The magazine talked about Firebrand and his quest to find the 6 elemental Crests, wrested from his control by his nemesis, Phalanx. 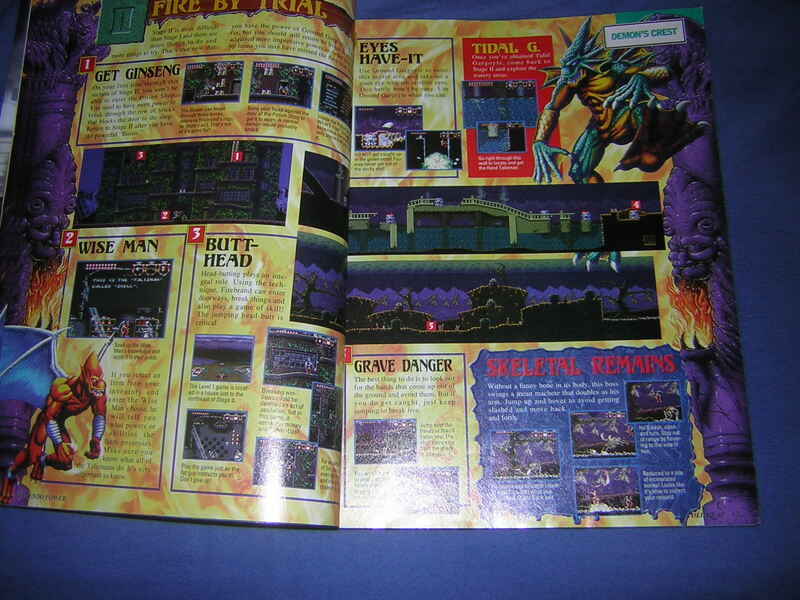 What was most interesting to me was that, although I hadn’t yet played the game, I knew Firebrand. Or, rather, I recognized him. He was better known as the red demon who stalks Arthur in Ghouls and Ghosts for the SNES, a constant thorn in his chivalrous side. In other words, I knew him as a minor villain, and overall bad guy. And this game let you play as him. The magazine also had extensive maps of the various levels and pictures and portraits of the enemies, just the sort of eye candy I ate up back then and still crave today. 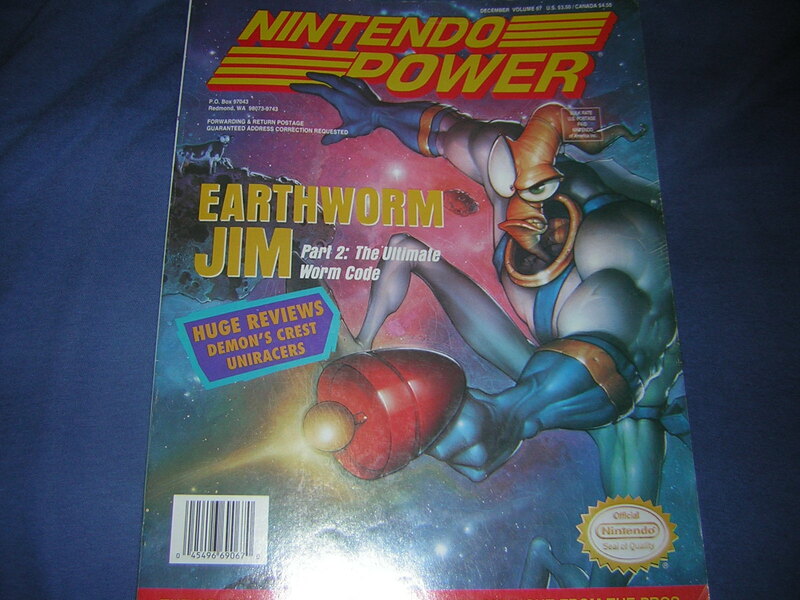 Then the Nintendo Power ended, as it always seemed to do, with a cliffhanger, talking about extra levels and enemies you had to buy the game to discover. 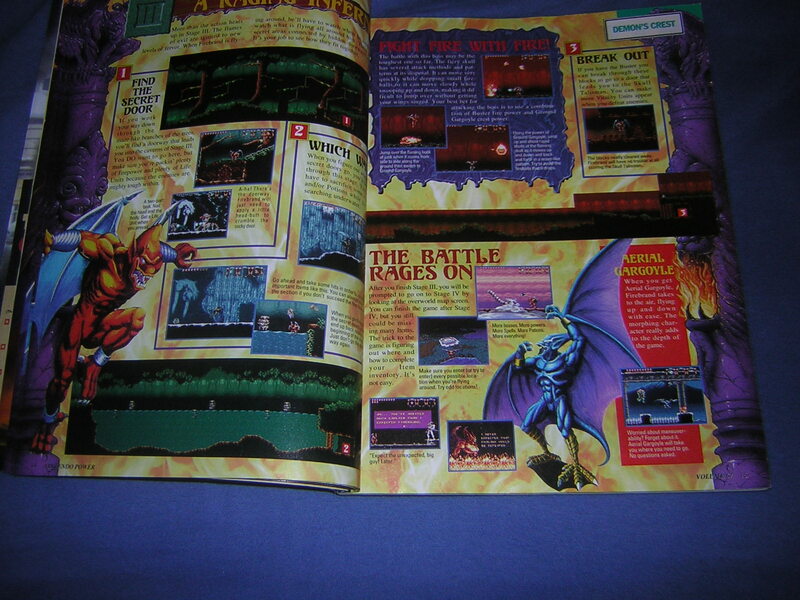 What caught my attention was that, according to the magazine, there were aspects of the game that were optional. You could easily beat the game without uncovering all it’s secrets, but then you wouldn’t get the best ending. This intrigued me. I was only used to games with linear plots and levels, never worrying about secret passages or hidden items. Demon’s Crest promised something more. Though my recall isn’t perfect, since this happened nearly 20 years ago, I’m pretty sure I read the rest of the magazine, carefully put it away in my Nintendo Power cabinet, and proceeded to forget about Firebrand and his quest for vengeance for the next couple of years. It wasn’t until I was walking through a Hollywood Video ( yes, I’m ancient ) and found Firebrand’s sneering visage staring back at me that I recalled reading about him in Nintendo Power. Something about this furious demon compelled me to find out more, so I rented the game. Then Firebrand changed my outlook on gaming forever. One of the first things that occurred to me once I popped in the cartridge and turned on the power was “This is not a nice game”, as confirmed by the opening and game over screens. In the opening, you’re confronted by a wall of flames that every so slowly is chipped away by a darkening silhouette which opens its wings and stares at you with glowing eyes. That was pretty creepy, but the game over animation was terrifying. I was used to Mario falling off the screen to the tune of sad music, or Mega Man exploding into a bunch of colored dots. When Firebrand is defeated, he screams in agony and falls to his knees as his skin sloughs off his skeleton. This was NOT what I expected from a game, especially after years of playing all-ages platformers. Then I pressed start, and was struck by the somber nature of the narrative. And then I got attacked by a zombie dragon. For clarity, this is the very first fight in the game, a boss fight against a giant, angry dragon whom, upon defeat, gets decapitated. You start the game off by decapitating this guy. Talk about intense! Here was haunting, gothic, downright creepy music – and I loved it. It perfectly set the tone for my transition from the gamer I was to the gamer I have become. My appreciation for Demon’s Crest was increased further by the awesome visuals. Everything was dark, edgy and beautiful. Most critically, everything and everyone in the world of Demon’s Crest was a monster. There were no princesses to save, no Robot Masters to thwart. No, in Demon’s Crest, you got to play as the villain in a world full of villains. After the 6 Crests fell to earth in the demon realm, and all the demons went to war in order to obtain their untold power, Firebrand went on a successful campaign of demonic genocide to gather all the Crests himself and achieve ultimate power. Granted, that power is stolen from him on the very cusp of victory by Phalanx, and you play the game as a weakened demon, but Firebrand was still responsible for the death and destruction of untold numbers of his own people. Besides teaching me about moral ambiguity and how to love anti-heroes, Demon’s Crest evolved my gaming tastes in another key way – it introduced me to the notion of replay value. I already mentioned how the Nintendo Power hinted at hidden depths to the game, but my younger self had no idea how deep they were. Each level in the game had branching paths, being essentially two levels in one. But in order to unlock the secondary path, you had to find the right item or ability to progress. I clocked in many, many hours playing the game, hovering over tombstone lined graveyards, invading subterranean crypts and raiding every corner of the game to find hidden entrances and items. Still, despite all that time spent, I still got the worst ending on my first attempt. Watching the credits was, for once, a disappointment. I knew there was a better ending, Nintendo Power confirmed. I just had to earn it. Unfortunately, rentals weren’t forever, and I had to give the game back to the video store before I could clock in more time to unlock everything. So, about a year later, when I saw Demon’s Crest for sale, I snagged it permanently. Owning the game made it possible for me to focus on uncovering every last secret in the game at my own pace, a task that I relished. What made this even more fun was discovering hidden Crests. The titular Crests each bestowed a different form and different abilities to Firebrand, as well as allowing him to access previously hidden or unreachable locations. The upper right photo shows off Firebrand using the power of the Crest of Water. My favorite Crest was the Crest of Air, which transformed Firebrand into a blue skinned pterodactyl looking creature and allowed a much more complex range of flight besides the standard hovering Firebrand was normally capable of. Another favorite was the Crest of Water, which turned Firebrand into a green, webbed merdemon, allowing him to not only swim, but allowing him access to watery depths that would otherwise burn his demonic hide. These are only two of the six Crests available in the game, and each added a lot to the experience. More importantly, it was vital to find each and every Crest, as well as all the hidden talismans, vellums, life containers and parts of the shattered Crest of Fire in order to unlock the best ending and true final boss. Granted, this wasn’t my first time fighting Phalanx, but it was just as epic the second time around. What I didn’t anticipate was that, upon beating Phalanx with all the Crests and items, he transforms into a second, truly terrifying form. Tough as the first Phalanx fight was, nothing prepared me for this form. You had to constantly hover over a sea of lava, grasping onto floating platforms and dodging energy balls and blasts, waiting for your chance to strike. To say this was a challenge was an understatement, yet this final battle paled in comparison to the true final battle. 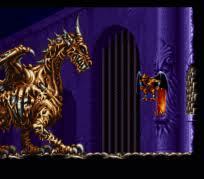 After beating Phalanx’s second form, the game rolled the credits and then provided a password. Being a curious young lad, I immediately input the password and pressed start. At first, I thought nothing had changed, until I checked my inventory and noticed a new Crest, the Crest of Heaven, which allows Firebrand access to all the abilities found in the other Crests, as well as opening up the final level. 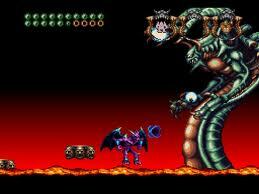 That level housed the real final boss, the Dark Demon, a truly fierce battle that tempered my gaming abilities. A few key factors made this final fight so epic. 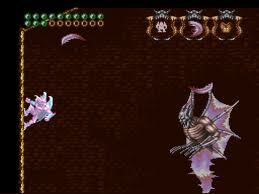 First was that, unlike Phalanx, who was somewhat of a chatterbox, the Dark Demon fights you without a word spoken. You don’t know how or why he exists, all you know is that you have to destroy him to achieve ultimate victory. Secondly, the Dark Demon alternates, practically at whim, between two completely different forms. The first looks like some sort of Mardi Gras ensemble gone wrong, a giant multi-headed skeleton riding a chariot of bone. This is the only form you can hurt, and he never stays in it for long. Also, he is in constant movement, hovering around, firing various projectiles at you or, if you’re foolish enough to stand underneath him, he attacks with a waterfall of blood spilled from his chariot. The Dark Demon’s other form is some sort of invincible bat winged monstrosity who, besides attacking you with energy blasts, has a nasty tendency to make rocks fall from the ceiling and can turn any segment of the floor or wall into a patch of spikes, which keeps you from clinging to them as well as harming you. I spent more time fighting the Dark Demon than all the other boss fights in the game combined, and it took many attempts to put him to rest. I can’t even describe the feeling of accomplishment that rushed through me once I did so. 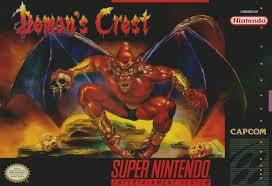 So in closing, Demon’s Crest is the game that made me the gamer I am today. It’s beautiful gothic imagery and music, as well as the moral ambiguity presented in it, truly changed my expectations of what a game should be. Coupled with the intense replay value and challenging boss fights, it was truly a unknown gem of the SNES. Games like this are why I still love old school, retro games as much as next gen masterpieces. In closing, I’ll let you enjoy a couple more of my favorite musical tracks from the game. Maybe they’ll convince you to hunt down this retro classic!